The first thing I have to say is, longwear is a bit of an understatement. This is the longest lasting concealer I have ever used. I apply it onto the back of my hand and use my ring finger to dab it underneath my eyes gently. 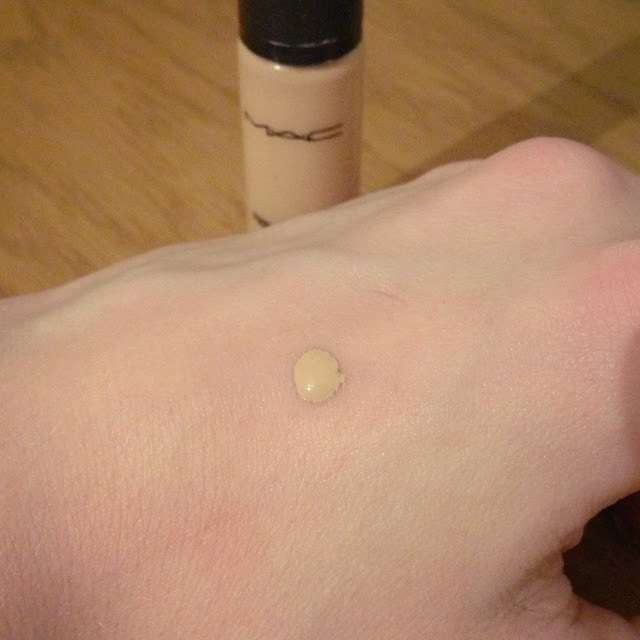 If you do not wash the excess concealer off the back of your hand, it will literally stay there all day, regardless of how many times you wash your hands. If you do not scrub it away, it will stay put for as long as it can – that is how much staying power it has. It has a really smooth consistency, not at all drying, allowing you to neatly conceal all shadows or blemishes. But as mentioned, as soon as it is dried, it will not budge. I always set this with my Shiseido Translucent Powder which I feel you really need to do. If you accidentally get bronzer or a darker powder on top of this, it will set in a darker shade and not give you a concealed look. It also seems to darken throughout the day, so setting with a clear powder will make sure it stays the same shade. It really is quite temperamental, but if you know how to work with it, it can give you really flawless results. I personally really like it now after trying out different ways of using it. I have also seen people mix this with moisturiser to create a Longwear foundation and again it would have so much staying power. It comes in this cute little bottle but will last you so long as literally one pump is too much product. The NW20 shade is perfect for my pale skin tone, with warm undertones as to not make your undereyes look too grey. Have you tried the Pro Longwear concealer? What did you think?